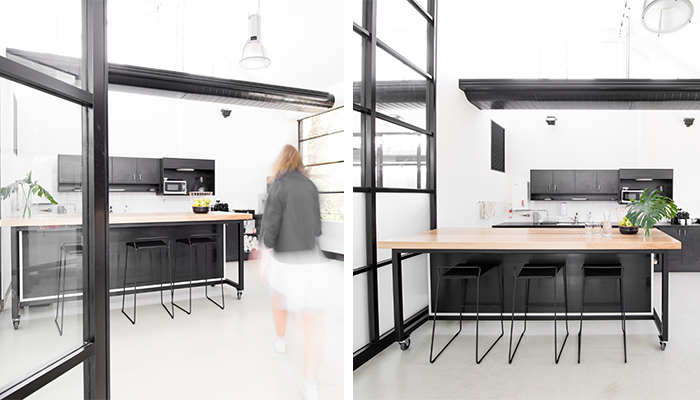 Highline is a space designed for Australian’s creative and business communities to conceptualise and collaborate. The venue has hosted fashion stylists, designers, editors, photographers, PR professionals and bloggers inside their walls (well, glass partitions). From street level, you wouldn’t expect the polish and energy of Highline to be hiding inside the corporate 1990’s façade on Hanover St. Featuring hand-applied concrete flooring from Alternative Surfaces and littered with furnishings from Louis Ghost, Meizai and Click On, Highline is the most ‘grammable space in the neighbourhood. By day, the bright space creates a fresh and lively atmosphere; by night, it transforms into a chic, polished cocktail location, worthy of making the pages of Vogue’s next party edit. 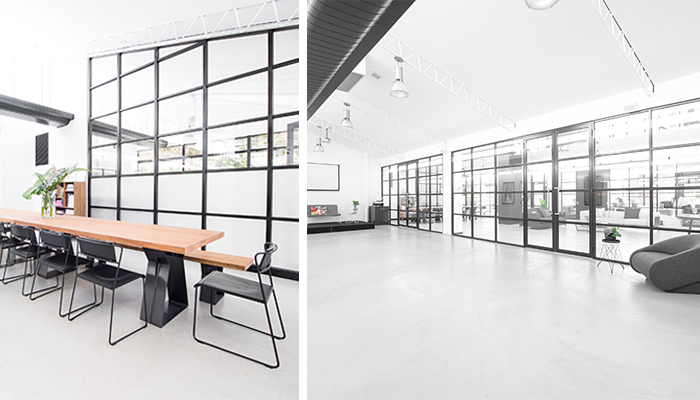 Originally an old denim factory, the space’s industrial charm has been brought to life by a meticulous renovation. While staying true to the soul of the building, its sky-high ceilings and brick foundations have been transformed into a minimalistic dream. 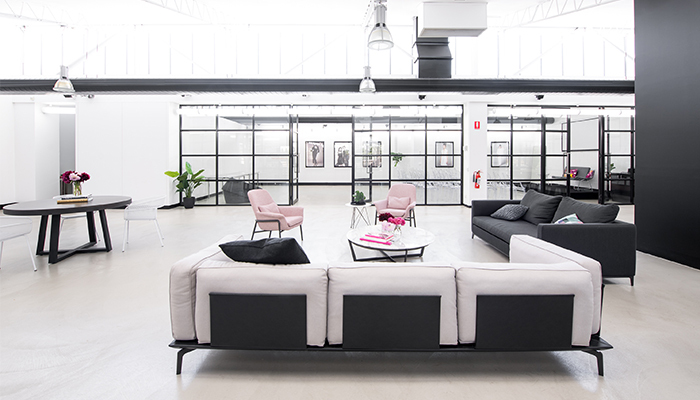 The open plan, light-filled interiors act as the perfect blank canvas that can be transformed into a venue that reflects your own (or your client’s) brand. 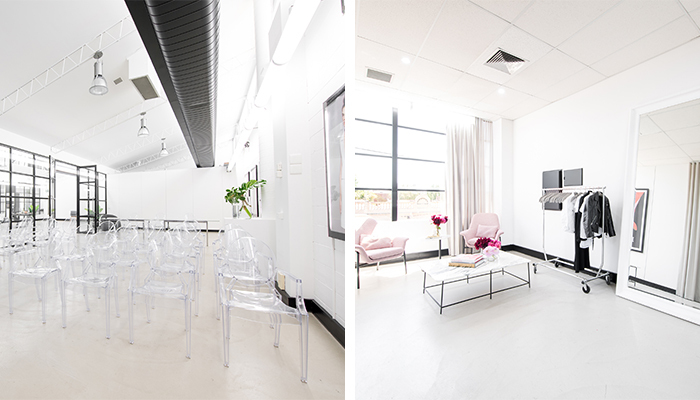 The space includes an intimate private styling suite, perfect for meetings or small showings; a showroom, fit for larger showings, pop-ups or events, and open-plan gallery spaces, where people can gather, create and discuss. Or, use the vastness of the entire venue to pop the champagne among a large party or launch.